Consumption of e-vapour products (EVPs) has increased steadily throughout the world. The market, worth USD billion is 2015, is rapidly changing as alternative icotine delivery systems, with heat tobacco, as well as nicotine inhaler technology not requiring heating, are developed. Because EVPs are relatively new, their regulation is likewise far from established. As a precautionary measure these products are increasingly regulated by certain governments, with some instating a complete ban. 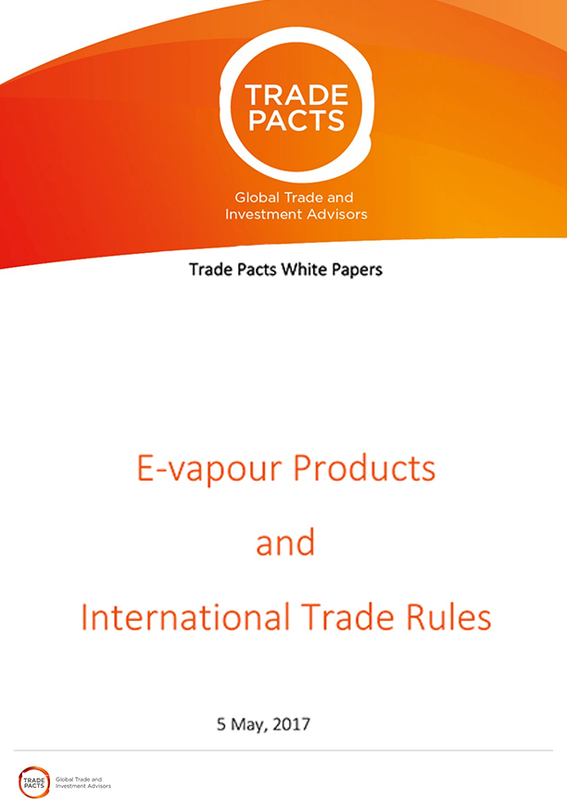 This white paper provides information on the legality of certain regulations of EVPs under international trade law; the WTO agreements in particular. It also offers advice on the international legal tools available and required to manage a possible unfavourable regulation. These arguments have proven helpful to EVP manufacturers and retailers in building their advocacy tools and engaging with relevant stakeholders to fight these overly restrictive measures. This white paper is illustrated using the scenario of a complete ban of EVPs. These analyses can be carried into examining the compatibility with the WTO rules of other restrictive measures applied to trade in EVPs (e.g. burdensome pre-marketing approval procedures, limitations relating to the size of e-liquid containers, limitations on the nicotine concentration of the e-liquids used in EVPs, and so on). Sign up for Free Premium Content. Britain’s vote on 23 June, 2016, to leave the European Union (EU), and subsequent triggering of Article 50 during March of 2017, initiated a colossal exit strategy to be endured for the next two years at least. The vote itself does not affect the legal position of the United Kingdom as an EU member state, and there will be no immediate consequences for several types of intellectual property, like EU Trademarks (EUTMs), Registered Community Designs (RCDs), and Unregistered Community Designs (UCDs). EUTMs and RCDs will continue to provide the same scope of protection to rights holders in the UK, along with the option to apply for new EUTMs and RCDs, which extend protection to the UK without changes to legal proceedings. From the number of transition scenarios proposed, experts favour a scenario which minimises the cost and resource burden to business while maximising legal certainty. 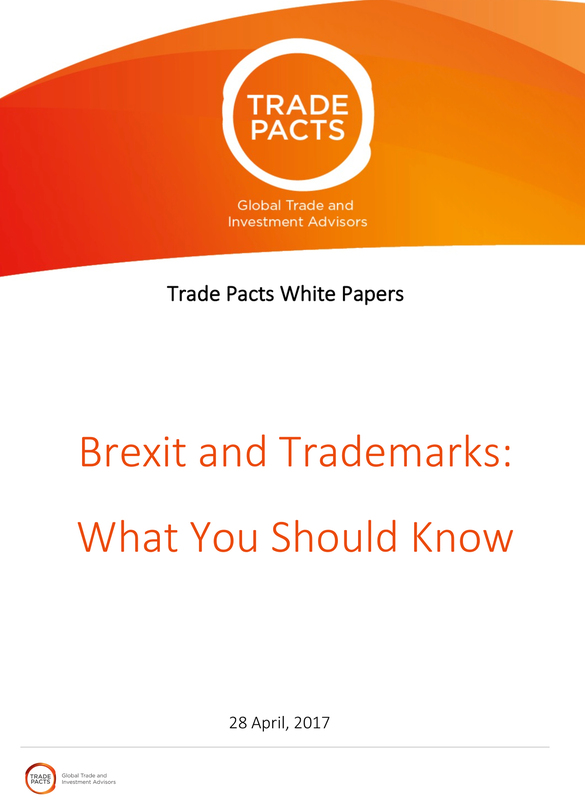 Although the extent of Brexit’s impact remains to be seen, several changes to trademark law and practice are evident, and will be effective from the moment of actual leave. The UK will no longer be covered by the EUTM and EU design systems, and the UK court system will no longer have EU trademark courts. Brand owners seeking to protect new trademarks in the UK would need to obtain a UK-specific trademark registration (national UKIPO registration, or via the Madrid System). UK-based trademark practitioners are unlikely to file EUTMs/CMDs because they would be unable to represent clients before the EU Intellectual Property Office (EUIPO), unless the UK was to join the European Economic Area (EEA). Brexit brings about a need to have transitional arrangements in place to ensure that existing protection is not lost. The UK trademark and design law will eventually diverge from EU law, but until Brexit takes effect, trademark protection in the UK remains largely “business as usual”. That said, rights holders should closely monitor the situation.